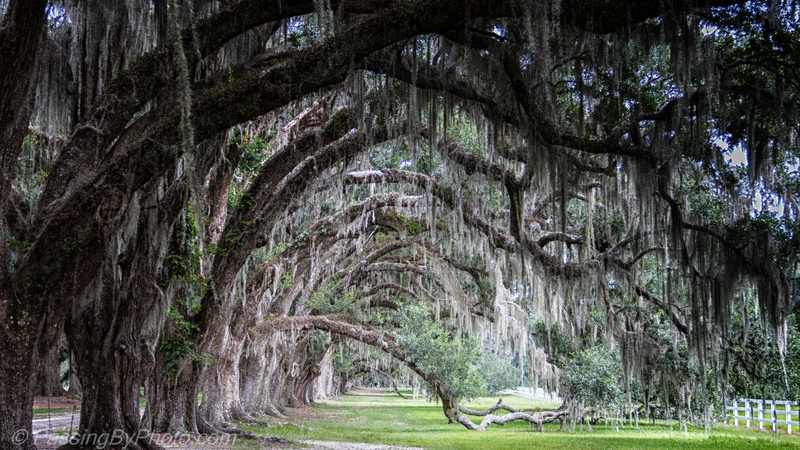 Live Oak trees line the drive into this property, dripping in Spanish Moss and history. Who knows how many hundred years ago these trees were planted. With low hanging branches, the view down the path created outside the entrance drive is more interesting than the drive itself. I like this one very much Ellen.Classic gothic, to my mind. Great pic. Thank you, Frank! I hadn’t thought gothic, but think it is apt now that you say that. Glad you enjoyed the photo.